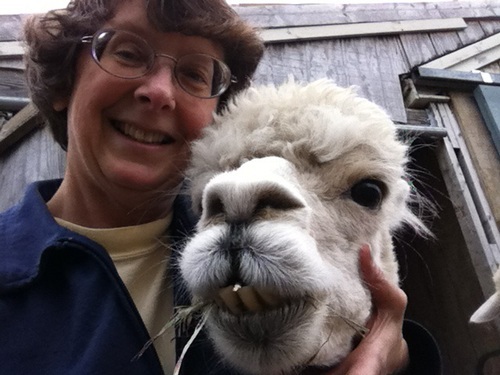 Pamelamas LLC is an alpaca fiber farm located in Arundel/Kennebunkport, Maine owned by Pamela J. Drew. 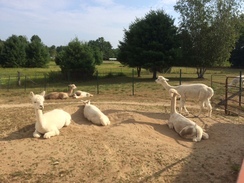 Welcome to Pamelamas Alpaca Farm! Give us a call or stop in to visit. Find us on Facebook at Pamelamas Alpaca Farm. The Farm Store is open by chance and by appointment. We are just starting to schedule events for 2019, so stay tuned as we firm up our schedule. Meanwhile, the Farm Store is always OPEN by chance and by appointment. There's nothing better than a good nap in the sun. Girls at feeding time. They'll come up for air eventually. Welcome to Pamelamas Alpaca Farm. 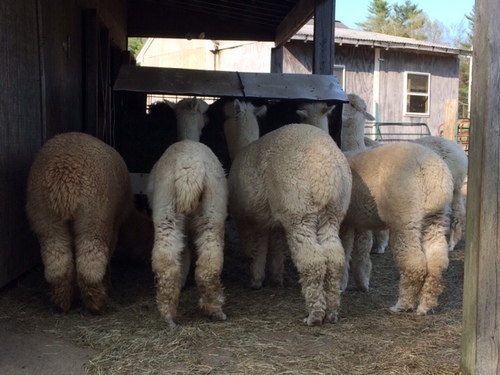 We are a small Maine alpaca farm selling luxurious alpaca products. 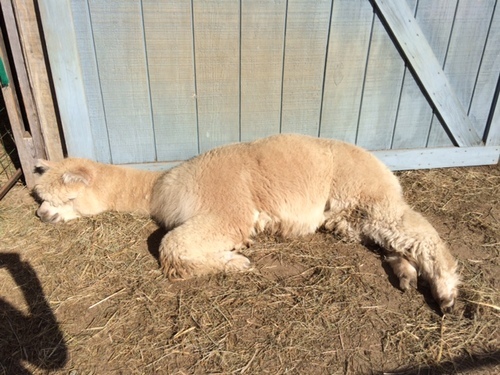 Alpacas are ideal animals as they are earth-friendly, quiet, and relatively easy to maintain on a small acreage. They entertain us with their distinct personalities and herd dynamics, while providing us with a yearly harvest of their fiber. Alpaca fiber is warm but lightweight, soft yet strong, and lanolin free. We have a farm store on-site and offer a variety of yarns and alpaca products from co-ops, fiber pools, and commercial suppliers, along with a limited selection of hand knit and hand woven alpaca and other items. We have many yarns and alpaca products listed in our on-line store. Just click on the "Store" tab above to be taken to our on-line store. Visit often, as we are adding new items frequently. Take a look at our page called "We Just Love Them" for a bit of background about us.